Tile and grout cleaning is needed in a home because it is uncommon that the grout lines are sealed when tile is installed. This is usually left to the homeowner’s responsibility. Over time, the task of sealing the grout lines gets put aside. With grout being extremely porous, soil, grease, and dirty soap water residue eventually leave you with dirty stained grout lines next to your beautiful tile. When the grout lines get to this point, you need a professional tile and grout cleaning company to restore it to a like-new condition. 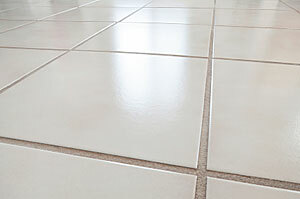 With heat extraction, vacuum and a high-pressure rinse, we are able to clean the grout lines and brighten your tile. A clear grout sealant is applied after cleaning. The sealant creates an invisible barrier that keeps soil, grease, and dirty soap water residue from penetrating the grout making it easier for the homeowner to clean in between professional cleanings. Contact Us Today at 770-339-9340 to make an appointment for a tile and grout cleaning onsite estimate.